Now here is a company that seems to be very well funded building tiny portable homes out of shipping containers. The houses are a bit plain but if you like the industrial look of shipping containers and spartan interiors these little houses might look like home sweet home to you. Global Portable Buildings Inc, located in Santa Rosa, California has a bunch in stock too, so if you need one right away they can load it on a truck and deliver it to your property. They say no foundation is needed but best to check with you local building department to see what kind of permits might be required. They also have a variety of different layouts, some with kitchens and bathrooms, and serve are permanent of temporary housing. The smallest basic unit starts at $12,000. What do you think? 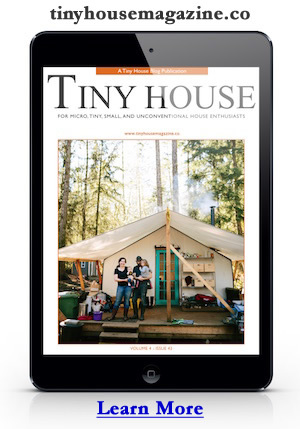 Discuss at Tiny House Forum. Photo credit Global Portable Buildings Inc. This entry was posted in Builders and tagged container, container house, shipping container, steel house, tiny house, tiny houses. i got a price from them for a 40′ deluxe (w/kitchen and bath) for about $23K which I thought was fair. however that model doesn’t connect, too bad. I would have liked the possibility of adding on basic units in future. Does anyone have any ideas one where to live in one of these if you don’t own your own property? Will RV parks accept them? I want to build one and make it look very nice, almost like an elongated cabin with vaulted roof, etc., but I’m scared I won’t have anywhere to put it where it will be accepted by the uptight, general masses. I think it would depend on the RV park. I suspect at minimum they’d want to see it on wheels and tow-able. I’ve not seen a cargo container on wheels like that. But the solution above is clever and it’s imaginable that a RV park owner would allow it since it is portable, albeit with a big truck. The other more common solution is to find someone with enough property and an open mind to let you plop a tiny house like this on their land. These people do exist they are just a challenge to find. I’d start with friends and craigslist. I’d also assume that rural or industrial areas would be more of a possibility. Residential neighborhoods have too many neighbors, and it’s complaints from neighbors that bring the authorities. Actually, I have some land, in Oklahoma, and am hoping to begin a community on it this year. This type of building can be accepted. I wish Mississippi would get wise to the shipping container houses.I would love to have one.Does anyone know if rhere are any in Ms ? The ‘Cargo Container Homes’ concept is gathering a very large following. Architects and designers are putting out plans faster than you can find them. There are more than 700,000 used cargo containers being stored all over North America at this time. Average used container prices are in the $2000.00 range. They can be attached almost any way you can imagine. They can be stacked up to 10 high to make apartment buildings or office complexes or student housing or low-income housing almost anywhere. These concepts have been in existence for at least 10 years now. To find out more just type ‘cargo container house’ in Google. You are right Brian this concept dates back more than 10 years in fact the first US patent issued for the concept was awarded to Mr Phillip Clarke of Miami on the 8th August 1989. The classic “overnight” success story I suppose. There’s no permit for 5th wheels, no property tax, and IRS will let you file your income tax, to choose a state with no state income tax.